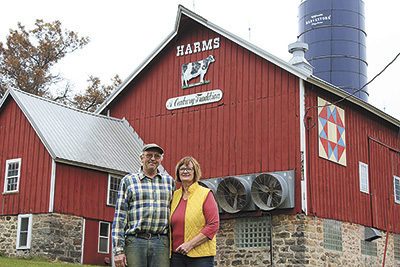 REEDSBURG, Wis. – Don and Dorothy Harms were looking for a way to continue to make a living on their family’s dairy farm as they began downsizing their herd. With three children grown and leaving them with three empty bedrooms, Dorothy decided to put her hospitality and love of cooking to use, turning their home and Valley Springs Farm into a bed and breakfast venture. The Harms milk 30 cows near Reedsburg, Wis.. They have downsized their milking herd from about 70 head. They are also in the process of transitioning to beef production and have been building a herd of Red Angus cows, working with direct marketing of beef. 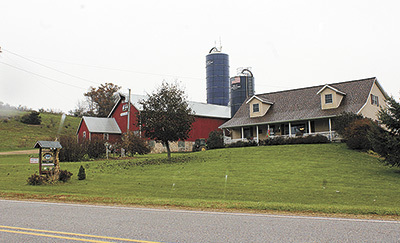 Finishing their fifth season as a bed and breakfast, Dorothy feels their foray into agriculture tourism and hospitality has not only benefited her and Don, but has created a connection between consumers and the family farm. Each guest receives a customized stay, giving them as much access to learning about the farm as they wish. They share about the heritage that is involved in family farming, with their own farm having been in Don’s family for over 130 years. Dorothy said many of their guests are from the Chicago area. 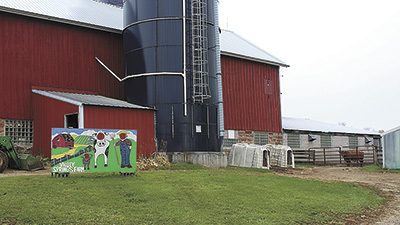 Michelle Stockinger, of Bloomington, Minn., learned of Valley Springs Farm through a friend and booked a stay with her daughter, Caroline. After learning about the dairy industry in school, Caroline became interested in the idea of a future career in the dairy industry. During their stay, Caroline experienced farm life first-hand. A variety of guests come to the Harms’ home, ranging from retired couples, families with kids and millennials. Stays typically range from one to four nights. Dorothy works hard to keep their life segmented, allowing her to care for the needs of her guests while maintaining a private life, including having a private area of the house. She keeps set check-in hours and a set breakfast schedule, making sure her guests understand that morning chores and caring for the cows comes first. Don’s role in the hospitality venture is to keep the farmstead neat, making sure the lawn is mowed and the barn and farmyard is tidy. He enjoys being able to connect with those so far removed from agriculture and sharing the daily occurrences farmers often times come to take for granted. While the Harms enjoy opening their home and farm to guests, Dorothy cautions those considering a similar agri-tourism venture to consider the implications. Offering the connection that changes a person’s perception of animal agriculture is something the Harms consider to be the greatest compliment.